We mean business when it comes to getting you the products and customer service you need when you need them. In today’s extremely aggressive marketplace, all companies face the issues of global competition and the ever-increasing costs of operating a business. FactoryMation was created in response to this competitive business environment. We created a low-overhead business model and an extremely efficient global supply chain that are the envy of our competitors. At FactoryMation we provide our customers with high-quality industrial control products at the greatest value. 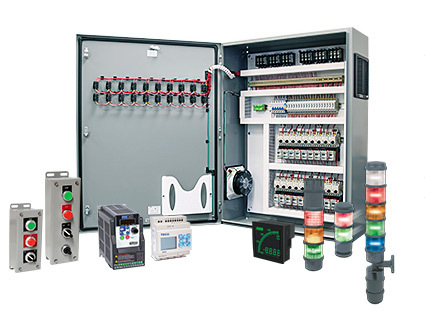 FM is a nationwide supplier of many quality industrial control products including: AC Drives, AC Motors, Circuit Protection, Digital Panel Meters, Disconnects, Enclosures, HMI - Operator Interface, Motor Controls, Power Distribution Blocks, Power Supplies, Programmable Controllers, Pushbuttons & Indicators, Relays and Timers, Sensors, Signal Lights, Soft Starters, Temperature Control, Terminal Blocks, Transformers & Wiring Solutions. 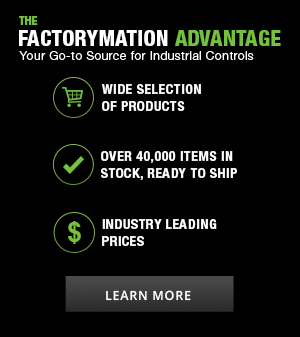 FactoryMation is a nationwide supplier of high quality industrial control products including AC Drives, Motors and Motor Controls, Enclosures, HMIs, PLCs, Sensors, and more. Our expansive distribution hub that houses over 40,000 products along with affiliates located nationwide allow for prompt shipment for any of your industrial control product needs. Direct relationships with major industrial control manufacturers ensure we are able to offer the best prices in the industry. With our many value-add services we can assist customers with the tasks associated with industrial control design, modification and customization. In addition, our knowledgeable support staff is available for all customer service and application needs. Our integrated support team offers application support, troubleshooting, and technical assistance. Our engineers can cross-reference your existing controls from other manufacturers to save you money. Same Day Shipping up to 7pm. 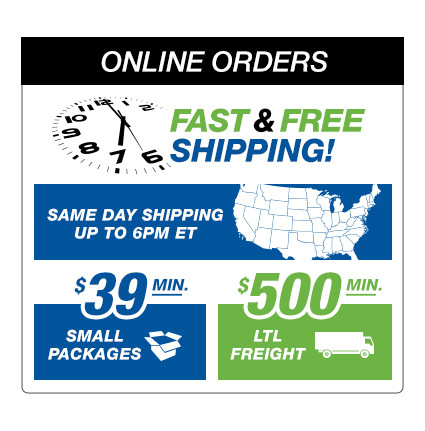 In-stock items ordered up to 7pm ET ship same day from the stocking location that allows for fastest possible delivery. Call for critical delivery requirements. "Quick shipping and large in stock selection!" "They know the products they sell inside and out. Just keep up the hard work!" "I needed a part you had, and your team jumped thru hoops to get it to me the next day." "You guys do excellently in communication, packaging, and in speed of order filling and sending. And, your website is easy to use and sufficiently descriptive." Free shipping options are available online for small package shipments ($29 minimum order required) and LTL shipments ($500 minimum order required). Free shipping, when offered, is available only to destinations within the contiguous United States (excludes Alaska and Hawaii) and is shipped via the best/most economical means at FactoryMation's discretion. Delivery locations that require additional services as determined by the freight company (such as Inside Delivery, Lift Gate, or Notification Prior to Delivery), and/or Residential delivery surcharge, may be required and subject to additional cost. All additional service fees are the responsibility of the buyer. Our new catalog contains thousands of products that offer you huge savings for your next automation project. We are constantly adding more products and technical product information to our catalog. Please take a moment to review our products and compare with the products that you are currently purchasing. Join the thousands of satisfied customers that benefit from our product offering.